Facebook is currently testing a new feature that allows users to see how frequent a Facebook page is posting updates in the search result. If you, as a user or as a marketer following certain pages, used to check them several times a day to see how often they posted updates, you won’t have to do that anymore due to this new feature that is in tests. The counter will appear at the right of the likes the specific page has and above of the section where “People who like this page” is. The counter shows the approximate number of posts that the page has per day. This new feature is helpful for the ones that want to know an approximate number of updates that they can post per day for their pages – specifically for marketers or people working in agencies. Facebook encourages advertisers not to worry about over-posting, as not all the updates they make appearances in the users’ news feed. This is the opposite of what many page admins knew until now when it was recommended for them to post updates only a few times per day. As Facebook states, the role of the news feed is to show people relevant updates for them, so as many updates you make as a page admin, the more chances for an update to appear in a user’s newsfeed. There are some pages that post more than 50 updates per day and the results are incredible for them. The feature is still in tests and available only for a selected few and there is no information on when it will roll out to all the pages managers around the world. If you are new in the marketing and social media world, this update will be very useful to you, as you will be able to predict a certain amount of updates that you should create for your business and create the social media calendar accordingly. It is the same for the older marketers who are in doubt of how many posts should they create the pages they manage. You can follow pages that are in the same industry as yours and check how they are creating the social media strategy. 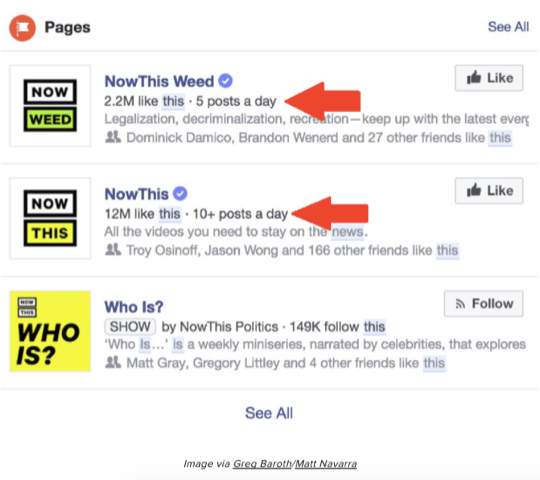 What do you think of this new Facebook show pages updates frequency?